A couple weeks ago I wrote about Glidden's new website, My Colortopia, and all the different resources they've made available to everyone. 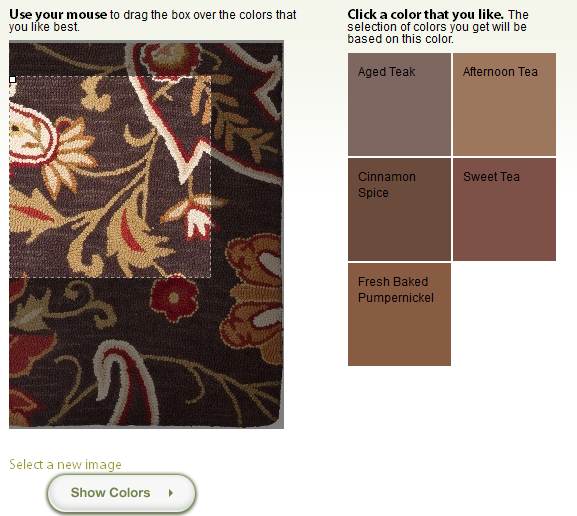 Advice columns, blog posts from a great team of talented bloggers, and a couple fun color tools. I talked about the first color tool on the site in my first post, and today we're going to talk about the second tool. It's called My Image Inspiration and I've got to say that it is really pretty cool. It takes images and extracts Glidden paint colors, which is so great - have you ever brought 20 color swatches home to try to get the right one that matches something? Yeah, me too. 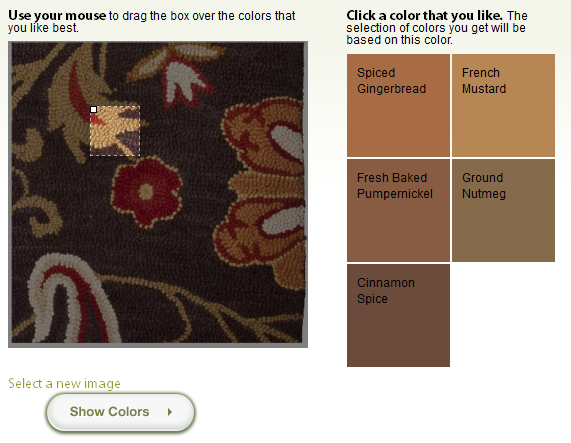 There are two ways to find your paint color (see above). 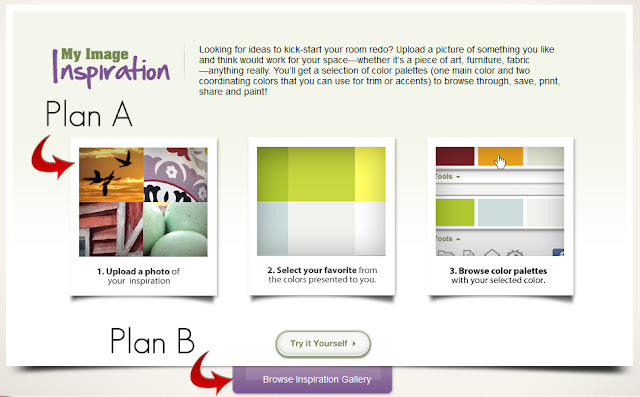 Plan A is where you upload a photo of something you want to build your color palette around; bedding, a piece of art, a rug, etc. Plan B is if you don't have anything to go from and you just need some inspiration based on images and colors that you love! 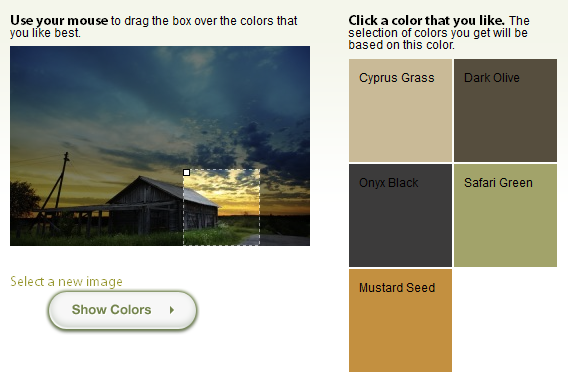 Upload it on the site and select an area, and the site will pull out some paint colors for you. 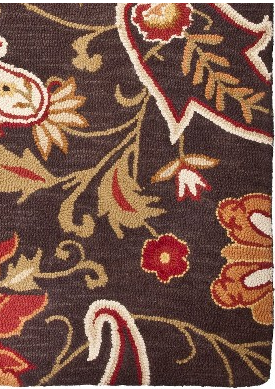 Be aware that you can manipulate the colors by selecting smaller areas; It was difficult to isolate the colors in the zoomed out photo of the full rug, so I uploaded a cropped photo with larger detail. 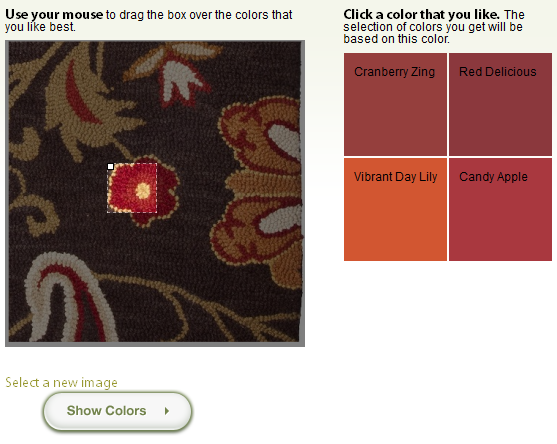 ... or maybe I wanted to be a bit bolder and paint my walls a vibrant orange or red! It's up to you, so play around and have fun. The second method is if you're just looking for color inspiration but don't have something you're working from or something you need to match - you're just looking for colors that make you smile. Just find a photo that you love from the site's Inspiration Gallery and you can upload it and start isolating paint colors from there. Easy peasy, lemon squeezy. Go check it out, it's sort of addicting. Disclaimer: I have been sponsored by Glidden brand paint to write this post, but the thoughts and opinions expressed are my own.